Painters have used photographic methods and optical devices for centuries. Many believe the 16th and 17th Dutch Realist painters used a camera obscura to achieve their photorealistic effects. See the article, The Camera Obscura and Painting, which describes the fascinating documentary film, Tim's Vermeer. Although photographs and photographic techniques have long benefited painting, there remains debate about whether working from photographs rather than directly from life is cheating. Yet some of the most well-known painters owe much to photography. The invention of photography had several different lineages. The first permanent photograph was made in 1826 by Joseph Niepce, but photography became more widespread in 1839 after Louis Daguerre (France, 1787-1851) invented the metal-based daguerreotype and William Henry Fox Talbot (England, 1800-1877) invented the paper and salt print process involving the negative/positive approach that came to be associated with film photography. Photography became available to the masses in 1888 when George Eastman (United States, 1854-1932) created the point-and-shoot camera. With the invention of photography, painters were released from having to spend their time and talents solely on paintings dictated by the church or noblesse. The Impressionist Movement was born in Paris in 1874 and included Claude Monet, Edgar Degas, and Camille Pissarro among its founding members. These painters were free to explore emotions, light, and color. Along with the invention of the paint tube in 1841, the invention and popularity of photography freed painters to paint en plein air and to capture everyday scenes of common people. 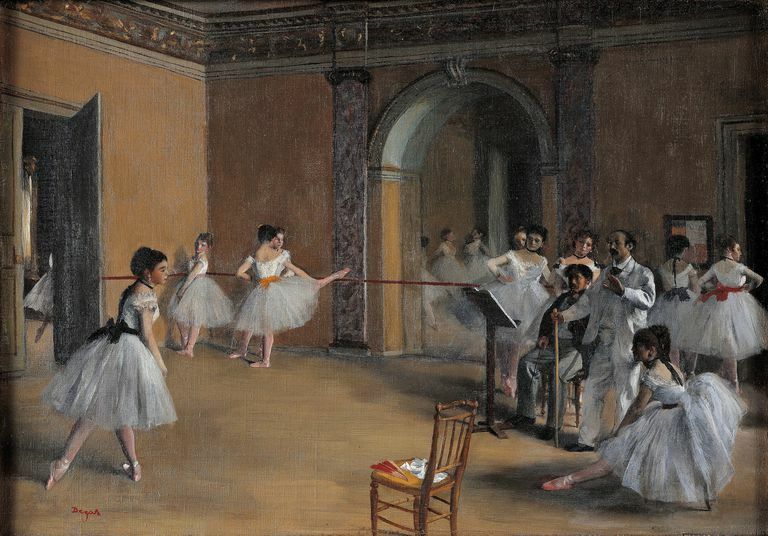 Some Impressionists enjoyed being able to paint quickly and boldly, while others, such as Edgar Degas, enjoyed painting in more of a deliberate and controlled manner, as can be seen in his many paintings of ballet dancers. "Perhaps the language of cinema best describes Degas' work - pans and frames, long shots and closeups, tilts and shifts in focus. Figures are cut off and positioned off center. Sightlines are high and oblique. Degas' interest in photography is revealed in these elements of style ...."
Later in his career, Degas himself turned to photography as an artistic pursuit. "The invention of the Kodak handheld camera in 1888 energized the working methods and creative vision of many post-impressionists. Several of the leading painters and printmakers of the day used photography to record their public spheres and private lives, producing surprising, inventive results....The artists sometimes translated their photographic images directly into their work in other media, and when viewed alongside these paintings, prints, and drawings, the snapshots reveal fascinating parallels in foreshortening, cropping, lighting, silhouettes, and vantage point." The Chief Curator, Eliza Rathbone, is quoted as saying "The images in the exhibition reveal not only the influence of photography on painting but also the impact of the painter's eye on photography." ... "Each of the artists took hundreds if not thousands of photographs. In almost every case the artist not only used a photograph as a basis for a painting but also took photographs purely to play with the camera and capture private moments." 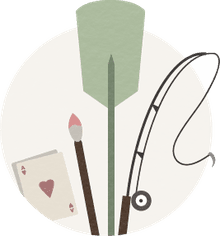 The historical influence of photography on painting is undeniable and artists today continue to use photography and embrace modern technology in a number of different ways as yet another tool in their toolbox.